Drop Everything And Read (D.E.A.R.) Days are popular in the US as a means of encouraging reading, creating buzz about picking up a book and treating children to an enjoyable school day devoid of the regular schedule. Publishers, professional teaching, reading and library organisations have even teamed up to sponsor a National D.E.A.R. Day across America. Though D.E.A.R. Days don't enjoy quite this popularity across the United Kingdom they are very easy to organise and execute, and can provide a great opportunity for parents to get involved with classroom reading. There is no wrong way to run a D.E.A.R. Day, and it is an easy way to help children create happy reading memories that last a lifetime. Teachers interested in organising a D.E.A.R. Day for their classroom may first want to check if this is acceptable to school authorities, and also if there is a chance of a making it a schoolwide event. If possible, getting the day listed on a classroom or school calendar, website or newsletter will help spread the word. Posters in the school corridors, library and classroom will also be helpful for advertising, and teachers may want to consider putting together a small memo or pamphlet explaining the logistics of a D.E.A.R. Day. Making sure that each child has a book to read on the day is important, so asking for donations from local bookshops or booking an extra visit to the school library just before the event is important. If prizes such as book token, book marks or reading diaries will be offered to students then they should be ordered or purchased in advance as well. Enlisting the aid of other teachers, parents and the school librarian should help to mitigate the amount of extra work required to organise a D.E.A.R. Day. D.E.A.R. days hinge on the idea that children will be asked to literally drop everything and read periodically throughout the chosen day. Some teachers like to add an element of whimsy to the day, such as by asking children to dress up as favourite book characters or to bring in pillows, sleeping bags or blankets for getting comfortable. Many also like to provide a special lunch or snacks and beverages throughout the day so that there is a festive atmosphere around reading. How much of the day is given over to reading is up to the teacher. Some prefer to dedicate the majority of the day to reading while others like to space out brief stints of reading throughout the class' regular schedule. How teachers alert the class to a new reading period may vary as well. Some teachers like to simply announce that it is time to read, though ringing a bell, blowing a whistle, clapping hands, turning out the lights and playing music are options too. Silent reading, having children read aloud and reading aloud to the class are all popular options for teachers putting on a D.E.A.R. Day. Requesting parental involvement can make a D.E.A.R. Day memorable for students, though it may be better to solicit only a few parental volunteers on the off chance that every student's parent could turn up on the day. Parents can help monitor reading, allow children to read aloud to them, set up snacks or lunch, read aloud to the class, hand out prizes, help children write in reading diaries and even lead children in reading related games on the playground. If parents want to donate time but are unable to turn up on the day then they might be able to help solicit donations from local businesses, advertise the day, put together costumes or decorate the classroom as needed. D.E.A.R. 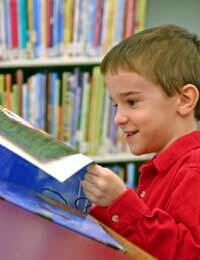 Days are an inventive way to show children the joy of reading. They can be as simple as adding surprise reading times to a regular classroom schedule or as elaborate as staging a giant reading "sleep-over" with prizes, costumes, games and treats. Organising and executing D.E.A.R. Days can be much less work with parental involvement, and the days themselves much more special with parental volunteers.